The timber is strength 1 but as these did not pass the final inspection for track insertion they at now available for landscape use. (A grade) top side square and adjacent sides also. Underside tends to be rounded or worn. Which makes ideal for stairs, edgings, retaining walls and other general landscape use. 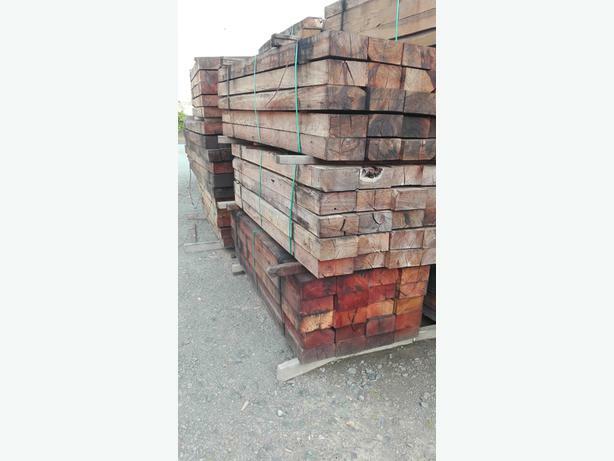 As there is no chemical preservation in these sleepers due to the timbers natural durability. Will weather to a lighter-driftwood like coloration that of untreated Australian hardwoods. Should any be unacceptable for landscape use we will refund or replace. Delivery at extremely good rates, hiab'd to your location. Specific quotation will be provided.